We love plants that make the pollinators happy and this is one of those plants. 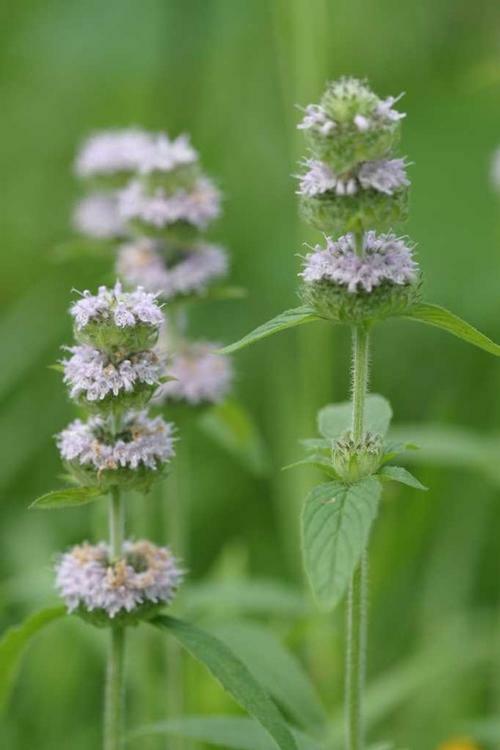 Light lavender flowers sit stacked on their stems like a pagoda and resemble Monarda, as it is also from the mint family. Fuzzy leaves are mildly fragrant.